Start engine of 6x6 Mud Car Tow Truck simulator games and drive to rescue wrecked cars with offroad spin tires suspension. Embark on project offroad muddy runner & drive extreme mud truck simulator in rough terrain to pull out incredible rescue jobs. It’s an offroad emergency duty call! Some damaged cars got stuck in mud after car crash and there’s a need of muddy-runner tow truck simulator for emergency rescue. Rip around bouncy dunes and drive offroad monster tow truck through twisty road to become an ultimate car rescue driver. Perform your rescue duty as car tow truck driver while 6x6 hill driving multiple tow trucks through extreme swamps on twisty road. Ride offroad muddy-runner truck through bumpy road dirt tracks, muddy roads or through hillrock mazes to pull out cars from mud. Drive multiple vehicles for car towing project offroad like 4x4 jeep, 6x6 muddy tow truck & 8x8 centipede truck simulator; all in one game. The dirt offroad truck driving simulator awaits, this time with new features of ultimate towing adventures in this project offroad. Spin tires as an offroad outlaws member while 6x6 hill driving suv jeeps through muddy road and lift up wrecked cars from marshes. People are waiting their offroad car simulator and 4x4 jeeps to be towed so don’t get late and perform extreme car towing service. Drive emergency offroad runner truck simulator to help people stuck in extreme conditions. 6x6 hill driving car tow truck loader is not an easy job as you’ve to manage two vehicles at a time. For these purposes, winch and tow mechanism along with offroad spin tires physics help you transport damaged cars & 4x4 jeep in this project offroad. Select from best revolution offroad trucks: 4x4 suv jeep, 6x6 muddy vehicles spin tires and 8x8 centipede truck all along with different suspension structures. 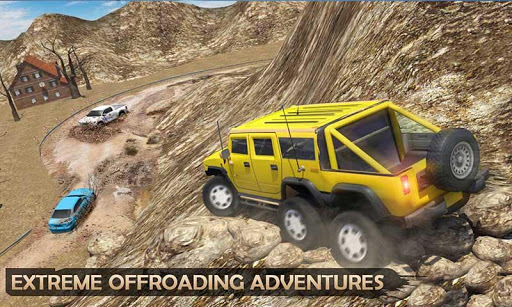 Make your pro atv truck ride through hillrock mazes, bumpy road dirt tracks, through mud paths and over incredible curvy roads in this offroad jeep driving simulator games. Be ready for project offroad of speed trap tractor pull challenge with muds and brutal flows in streams besides tough ways. Start your offroad rescue duty as the ultimate tow truck driver to lift, park and save busted cars. Just when you receive an emergency call for help, rush out with your speed trap tractor pull truck and reach the spot all the way through mud marshes. Find damaged cars inside extreme swamps or floating water and transport them to gas service station for auto repairing in project offroad. Drive 8x8 russian trucks with incredible horse power, use manual controls to pull out wrecked cars and drive them safely to car mechanic workshop garage. Experience the thrill of hill climb driving action all along with car towing adventure coz it’s time to rescue cars stuck in mud. 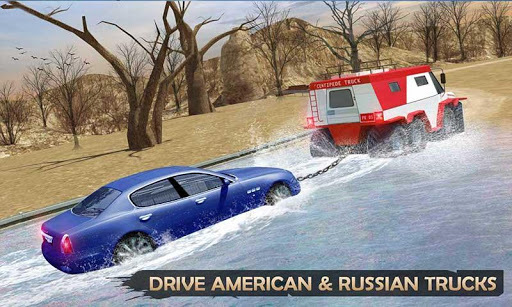 Drive to the emergency place, park offroad mod truck and pull out broken cars or suv jeep; all along with 6x6 muddy car tow truck simulator games. Test your extreme 6x6 truck driving skills to be an ultimate off road rescue truck driver and summon the car towing service skills. Upgrade 8x8 russian truck driving, jeep parking & car tow transport skills with this offroad spintires simulation game of 2018. Join the adventure of project offroad & take part in extremely challenging car towing adventures with tractor pull truck transporter in latest 6x6 Muddy Car Tow Truck: Offroad Spin Tires. We have added some amazing new features & fixed critical bugs in this release. Give us your feedback to improve this game in future updates. Thank You!